Let’s explore the Myth of the Normal Name. Give your kid a normal name! What’s even more dazzling is that this criticism comes in response to nearly any choice. Chart toppers like Harper and Hudson, classics like Edward and Eleanor. I contend that there is no such thing as a normal name. We think we know, of course. We can all list a few names that feel standard issue. But let’s hop into our time machine, because looking at the past? It proves my point. The definition of normal is regular; conforming to the common type. 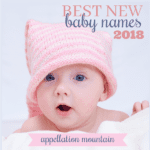 The best measure of this then, must be the Top 20 – or perhaps 50 – names, and thanks to the Social Security Administration, data on “normal” names is readily available. Scan it for a few minutes, and I’m sure you’ll agree: just like hemlines have always varied, baby names have come in and out of vogue. Except the Top 50 are far from stable. For girls, Mildred (#8), Ethel (#13), Gladys (#15), Gertrude (#25), Thelma (#26), Bertha (#29), and Myrtle (#43). For boys, Walter (#12), Willie (#13), Clarence (#19), Fred (#22), Roy (#28), Earl (#31), Elmer (#45), and Herman (#48). For girls, Betty (#2), Doris (#6), Phyllis (#24), Norma (#25), and Geraldine (#43). For boys, Raymond (#15), Eugene (#20), Herbert (#25), Ralph (#26), Norman (#40) and Melvin (#49). For girls, Linda (#1), Carol (#8), Shirley (#18), Beverly (#31), Peggy (#38) and Connie (#43). For boys, Larry (#10), Gary (#12), Roger (#25), Bruce (#26), Terry (#28) and Carl (#43). For girls, Tammy (#9), Lori (#20), Dawn (#21), Tina (#22), Dawn (#24), and Rhonda (#44). For boys, Keith (#36), Troy (#42), and Rodney (#49). By now, it should be clear – the parents naming their kids Keith and Dawn wouldn’t have considered Clarence and Bertha, even though they were similarly “normal” names from a generation or two earlier. Even the names of 1985 can feel like they belong to another era. We know – and like! – people with these names. But they’re firmly in the Mom-and-Dad-names category today. I mean, Bowling for Soup’s 1985 is fifteen years old. For girls, Ashley (#2), Heather (#8), Amber (#16), Brittany (#17), and Crystal (#21). For boys, Justin (#15), Kevin (#23), Kyle (#27), Dustin (#41), and Travis (#46). My kid’s orthodontist is named Brandon, the #13 name in 1985. The cute boy names of the John Hughes generation grew up. For girls, Taylor (#8 then, #112 now), Brianna (#14 then, #123 now), Destiny (#28 then, #227 now) and Kaitlyn (#33 then, #345 now). For boys, Tyler (#10 then, #106 now), Eric (#39 then, #143 now), and Cody (#45 then, #278 now). 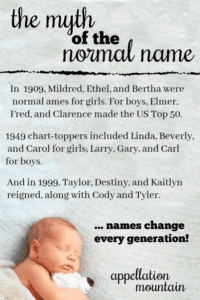 Even a handful of 2009 names – Alexis, Alyssa, and Hannah for girls; Aiden, Jayden, and Landon for boys – have faded in use over the last decade. The bottom line? 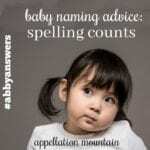 The most commonly bestowed baby names in the US change constantly. There’s a reason Phyllis, Shirley, and Troy dismiss Sebastian, Wyatt, and Elijah, Scarlett, Penelope, and Paisley as weird. If a kid in their generation had one of those names, it would stick out. But they’re just plain missing how much names change … and how quickly! But even within those lists, some remain under-used today, like Peter or Frederick for boys, Theresa or Frances for girls. It’s clear that all names cycle in and out of favor. But aren’t there names that have always been outliers? An unconventional spelling can render a familiar name confusing. But mostly, names cycle in out of popularity. Today’s wait-what choice could be tomorrow’s fast-rising favorite. 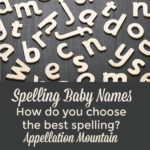 There’s no such thing as a normal name – and that’s a good thing. First published on March 1, 2008, this post was revised substantially in 2013. 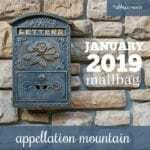 It was updated again and re-posted on January 31, 2019. I would love to applaud you for this! This is one of the times when sometimes a person says a name is unique (and I know for a fact they live in a country and region where that name would not be foreign or weird) like Elise, it confuses me. The name just happens to have peaked a few years ago. lol It is a completely normal name that has been around for ages. Oh well, I suppose region and your personal o exposure to certain names does influence what you view as ‘normal’. Interesting observation. There are too many cultures at play in North America for our governments to place many limits on the names parents choose. In the Korean Sunday school class I teach we have two little Eugenes — one Eugene is a boy and the other is a girl. While it sounds odd to our ears, I have to remind myself that Eugene is actually a unisex name in Russia too. I told my mother-in-law that if I ever had a little boy, I’d want to name him Adrian. She had a cow! She insisted that Adrian is a girl’s name. It isn’t — Adrianne is the feminine version of Adrian. I hoped spelling it for her would alleviate the misunderstanding, but she, a teacher, swears she’s had taught several little girls with that name and spelling. Adrian is a fine traditional Irish male name. There are plenty of Irish-American girls with names like Murphey and Quin. That doesn’t make them “girl names”. Luckily, my husband and I decided before we were married that we wouldn’t be having children. You might find this map of popular baby names easier for browsing the SSA data. The map includes regions such as Alberta, Canada and Scotland that release every single name given so you can find some really rare names there. Like you said, the SSA data only extends to the top 1000 names unfortunately. […] We live just outside of Washington DC. […] this is often a signal to start lamenting the demise of so-called normal names, the truth is that a trend towards more diversity in given names is not new. […] that there’s no such thing as a normal name.